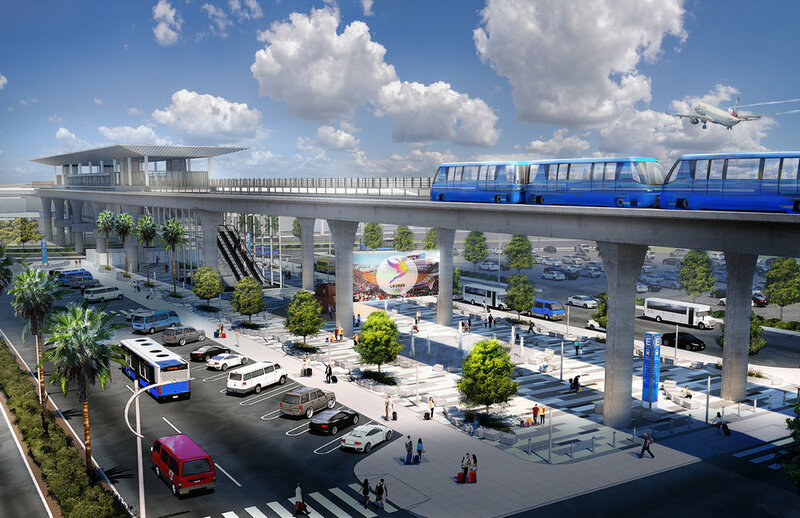 The Los Angeles World Airports (LAWA) has proposed an APM system to connect passengers from a Consolidated Rent-A-Car Center (CONRAC), to an Intermodal Transportation Facility (ITF) and then to the Central Terminal Area of the Los Angeles International Airport (LAX). The APM system is currently in the planning phases with several alignments under consideration. The APM will be approximately two miles long and will include six stations – three in the Central Terminal Area and three outside of the airport at other LAWA facilities such as the CONRAC and ITF. The APM system will be fully automated and grade separated from pedestrians and other vehicles. 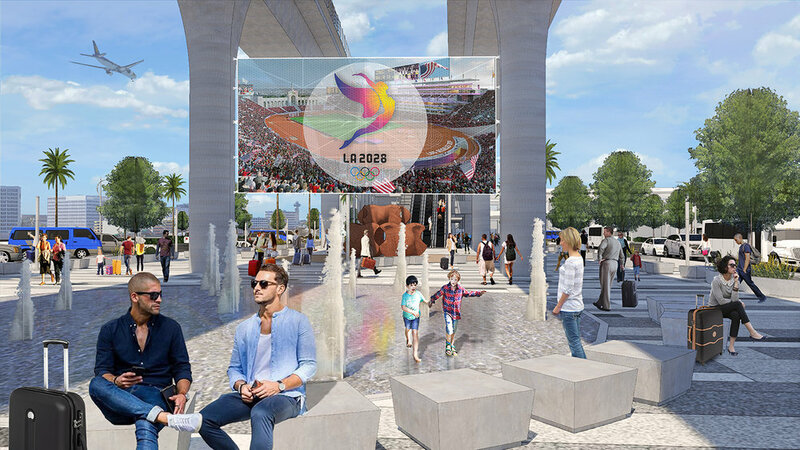 It will be designed for passengers with luggage and allow for reliable access to the airport. Each station within the Central Terminal Area will connect to moving walkways to ensure passengers can get to their terminals quickly.